Derailments, disruptions, and delays have plagued Amtrak, New Jersey Transit, and the Long Island Rail Road this spring, forcing track shutdowns, train cancellations, and transforming the everyday mob scene at Penn Station into a dystopian nightmare. 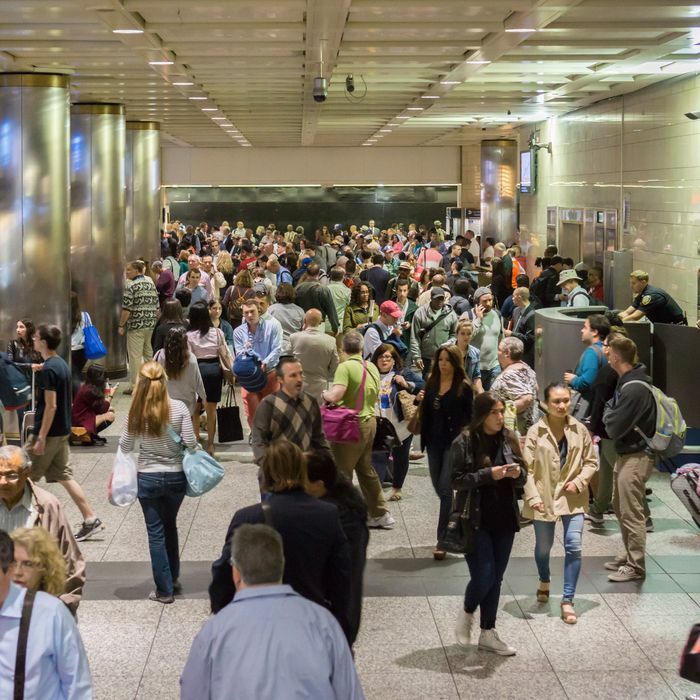 The recent chaos forced Amtrak, which operates Penn Station, to acknowledge the aging and overworked train system needed more-intense repairs, and officials have opted to shut down tracks for stretches of time in July and August, resulting in a 25 percent reduction in service. Amtrak, apparently, agrees. CEO Charles Moorman said that he is searching for a private operator to oversee the Amtrak concourse in Penn Station. This would, ostensibly, let the rail service focus on the track repairs and maintenance of adequate service without having to deal with Penn Station–related issues like cascading sewage.